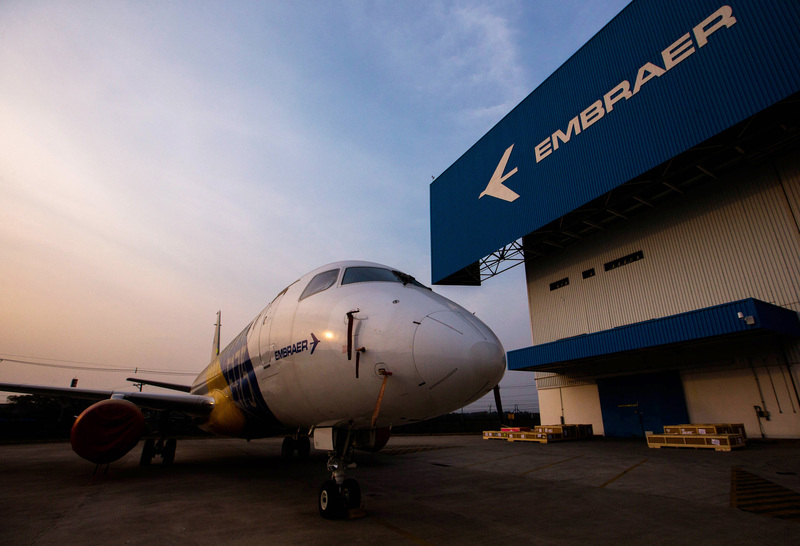 The aerospace giant is paying a fair price for 80 pct of Brazilian rival Embraer’s commercial-jet unit. Boeing can use the new joint venture to extend its dogfight with Airbus across the full range of aircraft. But Brasilia hasn’t signed off yet, and an election looms in October. Boeing said on July 5 it had agreed to acquire 80 percent of Embraer’s commercial-aircraft division for $3.8 billion. Under the non-binding agreement, the two companies will create a joint venture containing the Brazilian entity’s commercial-aircraft and services business, which makes the E series family of regional airliners. The venture will be led by a Brazil-based management team while Boeing will have operational and management control. Boeing said it expected to generate $150 million of pre-tax cost savings within three years of closing the deal. The two companies expect to finalize operational and financial details of the deal in coming months before seeking shareholder and regulatory approvals, including that of the Brazilian government. They expect to complete the deal by the end of 2019.